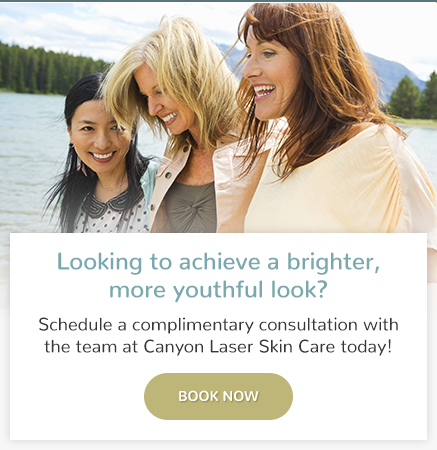 At Canyon Laser Skincare in North Vancouver, our team provides BOTOX® treatment services for patients looking to improve the look of fine lines and wrinkles. Botox is a proven and effective treatment for softening wrinkles. Repeated muscular contractions such as frowning and squinting form lines known as dynamic wrinkles or "lines in motion". Botox works by relaxing the muscles that cause dynamic wrinkles, giving the face a more relaxed and youthful appearance. Botox is the fastest-growing cosmetic procedure used by hundreds of thousands of women and men worldwide to temporarily reduce and soften crow's feet, frown lines forehead wrinkles, upper lip pucker lines, and neck bands. Botox has long been a trusted therapeutic choice for non-cosmetic use for the treatment of ophthalmic disorders associated with muscle overactivity such as misalignment of the eyes and contractions of the eyelids. Botox is also used to relieve conditions such as excessive sweating, teeth grinding and TMJ, migraine headaches, and conditions involving hyperactive muscles, most recently, cerebral palsy in children. Like many medical advances, the wrinkle-smoothing properties of BOTOX were discovered by inquisitive physicians. If you have any of the following conditions, you may want to consider BOTOX treatment at Canyon Laser Skincare in North Vancouver. One such physician, a Canadian ophthalmologist who was using injections of BOTOX to treat ophthalmic conditions in her patients, noticed how it also helped to smooth away the lines around their eyes. Following years of research and development, a remarkable new cosmetic treatment was born. In April 2001, BOTOX¨ Cosmetic was cleared for use in Canada for patients with (glabella) frown lines. When administered by trained practitioners like our staff here at Canyon Laser Skin Care Centre in North Vancouver, Botox injection takes just a few short minutes. Botox is injected into a specific muscle, blocking the signal from the nerve to that muscle. As a result, the skin in that area looks smooth and less wrinkled, while the rest of the face remains unaffected, so that normal expression can be maintained. The wrinkle-smoothing result can last 3 - 4 months. Botox is a simple, non-invasive and painless treatment with no post-treatment downtime.